This need to become independent has lead to the foundation of the Outer Planetary Alliance, or OPA. This ‘group’ is a loose affiliation of dozens of different organizations and cells. Dubbed Terrorists by both Earth and Mars, the OPA works in both legitimate and illegitimate ways to try and gain freedom for the Belt. 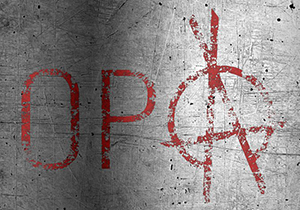 The OPA has a massive following among the people of the Belt, and it is not uncommon to see their mark on even the most heavily controlled station.